As much poet as pianist and songwriter, Smythe’s works here are insistent probes into an imaginative ground. 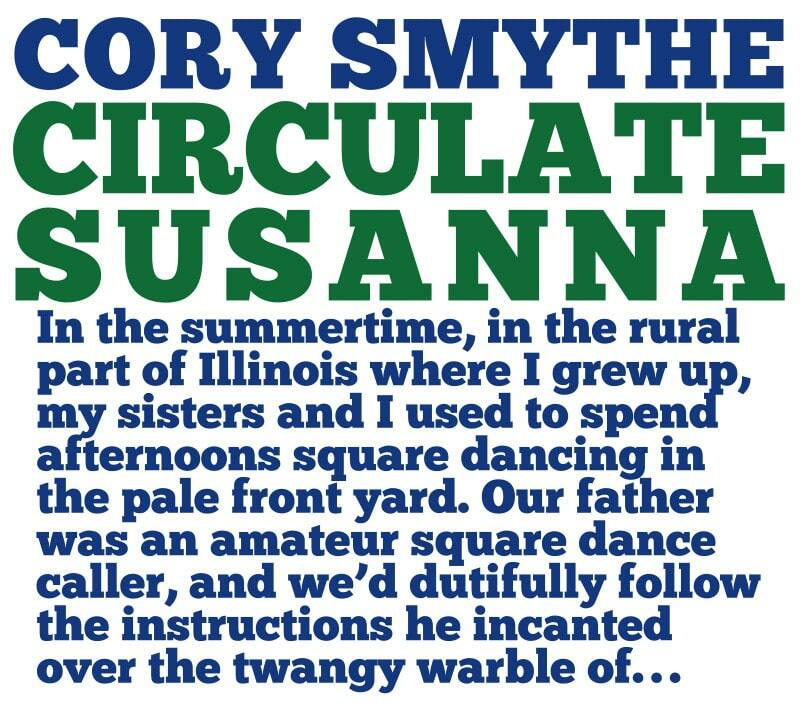 In the summertime, in the rural part of Illinois where I grew up, my sisters and I used to spend afternoons square dancing in the pale front yard. Our father was an amateur square dance caller, and we’d dutifully follow the instructions he incanted over the twangy warble of Stephen Foster and George Washington Dixon on our dusty gramophone. When we tired, he’d keep the music running and huddle with us in the hole we’d anxiously excavated one tornado-siren-filled weekend. My sisters and I would take turns propping up the makeshift cotton ceiling and working the emergency flashlight while Father narrated tall tales in his low, comforting molasses. His stories always took place on a faraway fictional moon, with amber wind and waves not unlike ours, but peopled by damp, strange organisms. Instead of blood, their bodies literally coursed with music and, as a result, they were gifted a fearsome ability to sing and twirl each other into — and out of — existence. In our world, of course, music has far less power. At best, it might be said to participate in the cycle of life and death, as with the 500 souls envisaged and executed in the haunting second verse of Foster’s “Oh! Susanna” or the death-denying excision, nowadays fashionable, of all the memorials to murder in Abel Meeropel’s “Strange Fruit,” a custom which the band and I uphold in the closing track here. The Foster and Dixon tunes that undergirded Father’s stories, arriving to us as they did via wilted vinyl, windspun and re-tuned by the filtering fibers of the cotton ceiling and the coarse earth, made it easy to imagine the kind of harmonies that might bend, burble, and howl in the distant world of his invention. It was only much later in life, when I began recounting these same stories to my own children (all of us tucked safely in the soil), that I came to understand the significance of not just the alien country melodies — in these speculative, musical rites of creation and destruction — but also their cleverly contrived, inhumanly serene silences. I feel then, that I’ve not so much written the songs presented here as transcribed them from the vivid yet half-remembered repertoire of those distant summer days, gathered with family in the warm, sunken embrace of a bygone America.